will be closed as part of the agency’s modernization plan. potential holes in the enforcement fence. Portland, Ore., and San Francisco. Docket RM-11708 – Amendment of Part 97 of the Commissions Amateur Radio Service Rules. This is a response to comments sent from one of our members. Make sure you send your comments to both email address. The FCC is about to make this officially law, but is taking last ditch comments from now (up until October 5th or so) and then during a one month “Reply to Comments” phase. this is our LAST CHANCE to really get the base of CW/RTTY users to write in to ARRL and FCC officials to modify this law…. NPRM RM 11708 cannot be repelled at this point, only modified, unless a miracle occurs and ARRL recinds it – not likely unless tens of thousands of us write to ARRL officials while also filing comments. 1. SSB and other voice operations will be freely allowed in all the CW/Data/RTTY segments of HF with unlimited bandwidth, as long as the signals are digitized into data first. This NPRM opens up digitized voice to the CW/RTTY lower end HF bands — digitized voice using 12.5khz c4fm stations will be allowed, since the FCC has not proposed a bandwidth limitation. And this is not a conspiracy theory, its real. 2. If the rule passes without any bandwidth limit, or with the ARRL’s suggested 2.8 kHz bandwidth limit on the low end, Pactor 4 will be permitted and conversations will be encrypted as part of the protocol. And if there were to be a way to listen in, it’s going to require a the purchase of a Pactor 4 modem which is not cheap. 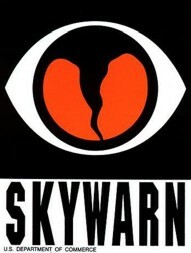 Meaning you have no ability to identify the call sign of a station short of engaging in a Pactor 4 based conversation. No way for OO’s to find offending station since no CW id is needed. 3. A lot of the Automatic Data stations (the auto repeaters that are already causing great QRM) are tied in with the watercraft and boating crowd. Which means the stations would ring the coastline using new data services in the CW/Data part of the band to log into Facebook, check weather, and make dinner reservations. So unless you are beaming north, you are going to be pointing toward one of those stations. 4. At about 2.4 Khz per station for Pactor 4, and with MANY more stations active (the P4 speeds make email via HF a lot faster and less painful, which will drive more users after this NPRM is legalized), it won’t take much to swamp all the traditional RTTY segment. That pushes the RTTY guys down into the top of the CW segment. And not to even mention digitized voice signals that will be allowed there, too! No matter how you slice it, even with voluntary band plans, this means trouble for the RTTY operators right up front, and more congestion for the CW bands as a result. Of course, the SSB guys successfully defeated essentially the same proposal 10 years ago (ARRL TRIED TO PASS RM 11306 in 2005, but rescinded it in 2007 because the SSB operators made enough noise to get the ARRL to pull it from the FCC consideration—Check out RM 11306 and — CW and RTTY apathy has failed to make enough noise, and now this is about to become law). It has gone too far, and CW/RTTY people have not been heard, and this is about to remove the enjoyment of our bands forever! Please get active. This is real. Please don’t take this lightly and do nothing, please get your CW/RTTY friends engaged. Read the NPRM! See Footnote 37. See what the FCC is about to sign into law. You only have 2 months to move the ARRL and the FCC to modify this rule. Lets give Pactor 4 and Winlink its due at 100 kHz and above from the low end of HF, but lets also preserve the lowest 50 kHz for CW and lowest 100 kHz for RTTY by urgently requesting bandwidth limits that preserve CW and RTTY. Tell your ARRL official and write in to the FCC about the need to have narrow bandwidth protection in the low end of HF if they remove the 300 baud rate — we need tens of thousands of thoughtful responses! I am copying Brennen Price, ARRL’s CTO and PVRC member, here. And I hope you and others will similarly write him and all ARRL officials while you submit your short, focused comment to the FCC on RM 11708 and WT 16239 to seek interference protection on the low part of HF, as well. What we are asking you to do is to contact the FCC and express your opinion of this proposed rule. We have until October 11, 2016 to submit comments and reply comments by November 10, 2016. CONSIDERATE… never knowingly operates in such a way as to lessen the pleasure of others. LOYAL… offers loyalty, encouragement, and support to other amateurs, local clubs, and the American Radio Relay League, through which Amateur Radio in the United States is represented nationally and internationally. PROGRESSIVE… with knowledge abreast of science, a well-built and efficient station and operation above reproach. FRIENDLY… slow and patient operating when requested; friendly advice and counsel to the beginner; kindly assistance, cooperation and consideration for the interest of others. These are the hallmarks of the amateur service. BALANCED… radio is an avocation, never interfering with duties owed to family, job, school or community. PATRIOTIC… station and skill always ready for service to country and community. — The original Amateur’s Code was written by Paul M. Segal, W9EEA, in 1928. The full text of the substitute bill is here. Senator Bill Nelson (D-FL), is not yet supporting the legislation despite the recent agreement between ARRL and the Community Associations Institute (CAI). This agreement is supported by all parties to the issue and leaves no visible opposition to the bill. However, Senator Nelson’s support is critical to the success of our efforts. Every Tuesday morning at 10 AM (excluding Holidays) the Gulf Coast Amateur Radio Club will hold its informal coffee break at McDonald’s on US Hwy 19 N across from the Flea Market in Port Richey, FL. Hope to see you there. Are you having problems programming your favorite 2 meter or dual band HT or mobile unit? Maybe you would just like to check your SWR and power output? Well, come on down to the GCARC club house located at 6909 Tierra Verde Street, Port Richey Florida we’ll be glad to help you with programming and checking your forward and reflected power. 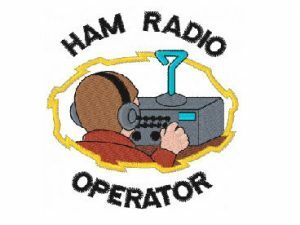 Have your General or Extra class license but no equipment but would like to be “radio active” or maybe a tech license but would like to see what HF is all about, come on down, the club has two operational HF stations with three different HF antennas. I would love to see you . I am usually at the club house most days of the week on the air or doing some sort of work at the club house. If you’d like to call before coming down you can reach me at 727-809-1225.